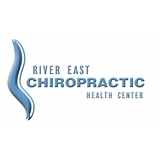 River East Chiropractic Health Center (Chicago) - Book Appointment Online! Chicago chiropractor Josh Rowell, DC at River East Chiropractic Health Center is one of the leading chiropractors in the Chicago area at combining chiropractic medicine, injury rehabilitation and disease prevention. Dr. Rowell is a chiropractor committed to providing pain relief for many symptoms and conditions so that you can have a higher quality of life. Beyond this, his goal is to keep patients pain free and able to maintain a high quality of life as they age with minimal need for our care. At our downtown Chicago chiropractic office you will receive the best care through the use of modern chiropractic techniques, massage therapy, and rehabilitation modalities. This "combination" of therapies is by far the most effective way to treat most conditions. Dr. Rowell and the staff at River East Chiropractic Health Center have a genuine concern for your well-being and health! This guy was awesome. I came in with some back and pain and I had never been to a chiropractor before so I was really worried. He was very kind and gentle. I cam in not being able to move and left being able do the jitter bug.